Today is my 28th birthday, and while usually I would throw a big bash to celebrate, our wedding less than one month ago has left us a bit partied out. 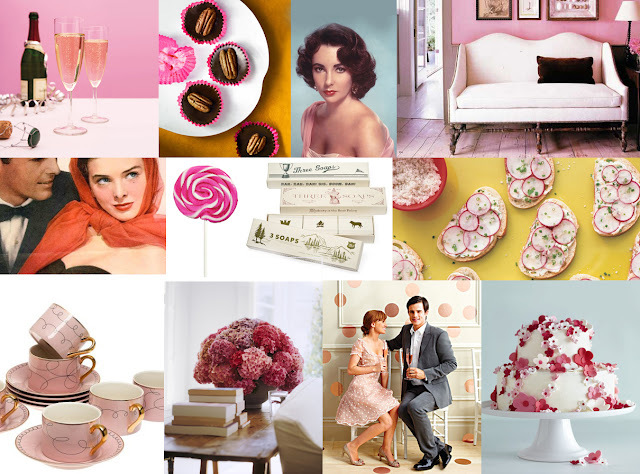 So, instead I decided to create an inspiration board for the kind of party I would have liked to have hosted (and the one which I surely will sometime in the future for another occasion). Pink, chocolate, and sweet retro elements were my inspiration--I hope they'll also be yours!